4 3.) 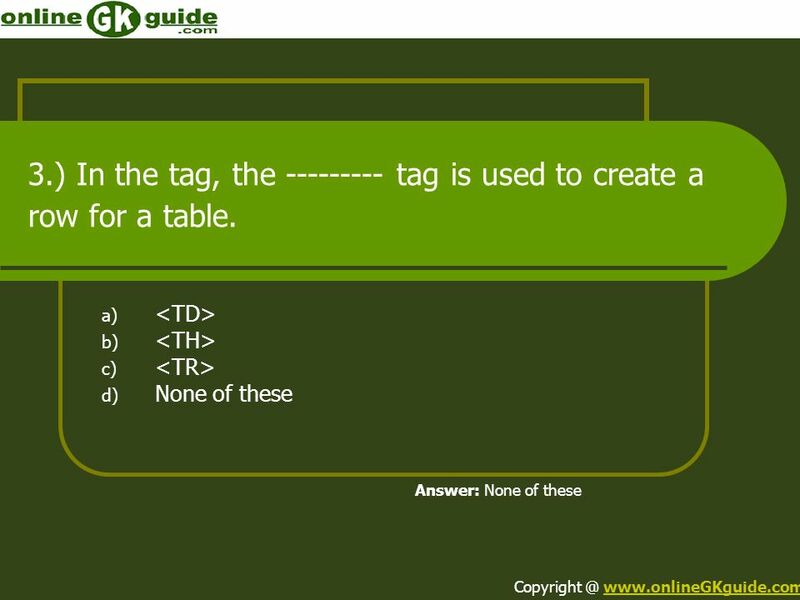 In the tag, the --------- tag is used to create a row for a table. 6 Hope it was helpful for you. 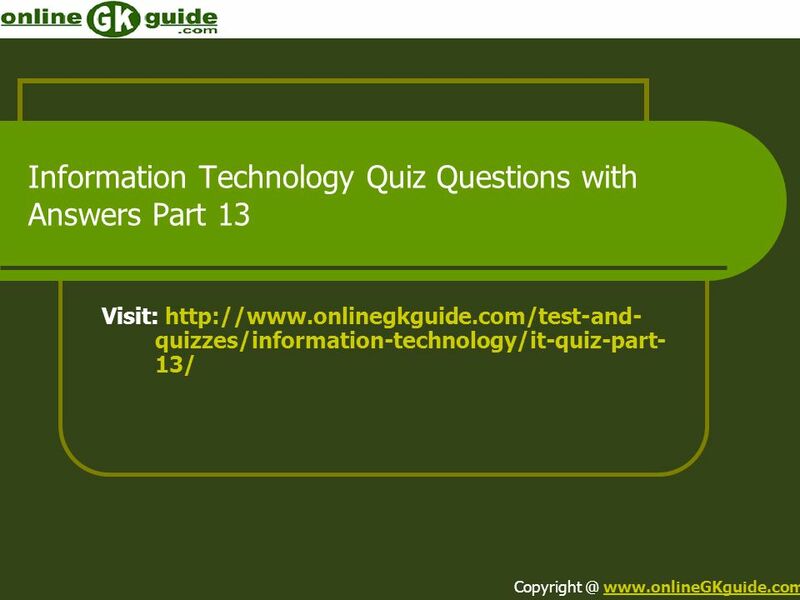 Download ppt "Information Technology Quiz Questions with Answers Part 13"
General Knowledge Quiz Questions with Answers Part 61 Visit: quizzes/general-awareness/gk-quiz-part- 61/ Copyright. Copyright © 2003 Pearson Education, Inc. Slide 5-1 Created by Cheryl M. Hughes The Web Wizards Guide to XML by Cheryl M. Hughes. 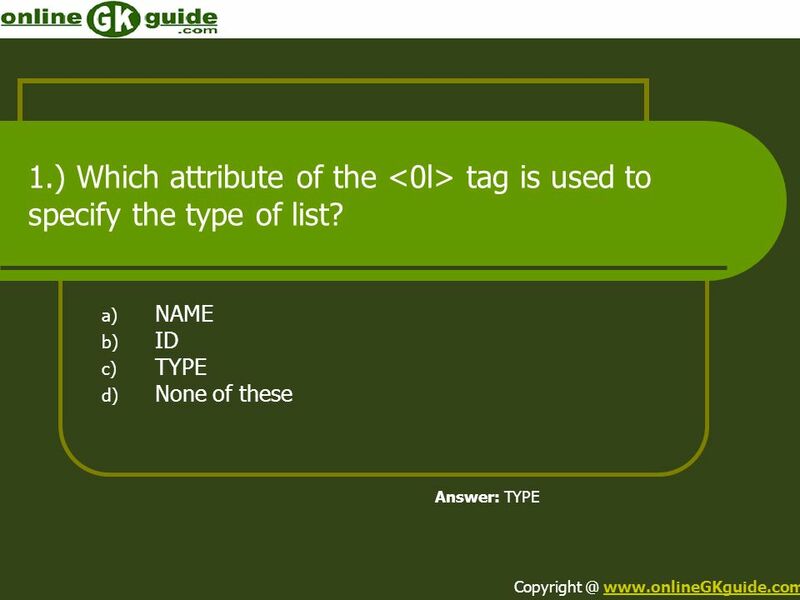 Using HTML Tables Presenting Information & Layout Control. Use Tables for Layout Control Day 7. You will learn to: Understand Tables Create a Simple Table Modify Your Tables Appearance Create Page Layouts with. 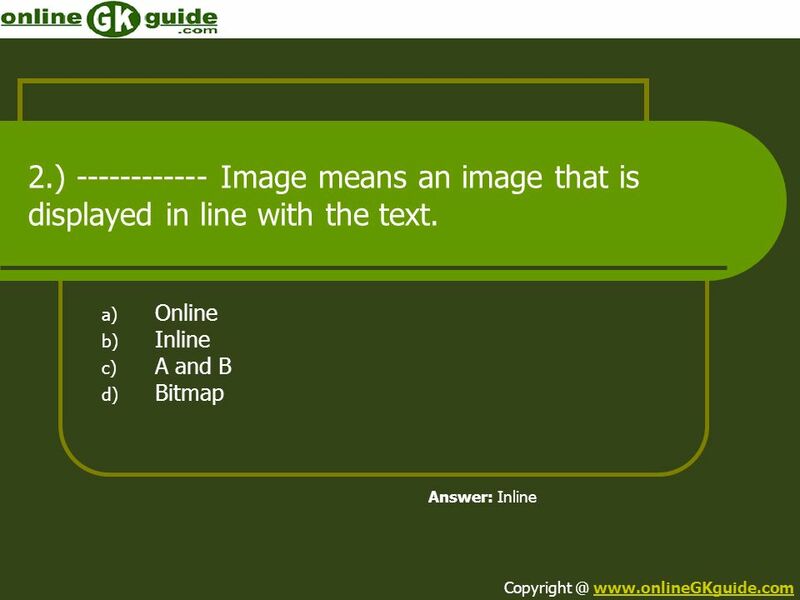 Color Templates Software Engineering Module: Web UI Programming Topic: HTML TALENTSPRINT | © Copyright 2012. Internet Basics & Way Beyond! กระบวนวิชา CSS. What is CSS? CSS stands for Cascading Style Sheets Styles define how to display HTML elements Styles were added to HTML 4.0 to. Original Slides by Ivan Lee Updated for 2012 by Jason Chen, Madiha Mubin, RJ Yates 1. Spanning Rows and Columns Mrs. Wilson Internet Basics & Beyond. Creating Tables Text Tables -created by using preformatted tags. Graphical Tables - created using Table Structure with HTML. CIS101 Introduction to Computing Week 07. 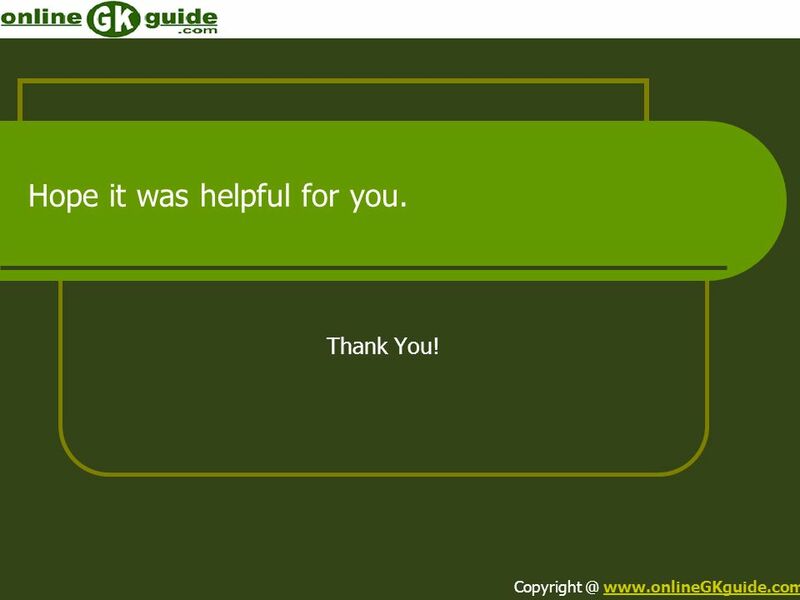 Agenda Your questions Resume project Review Project Two HTML Project Three This week online Next class.